← Top 100 Farmers Market Photos : 15K searched. 100 chosen. Though one of the most beloved flavors of our species, the particular origin and path of travel chocolate takes before reaching a dazzling wrapper is not often acknowledged or understood. Theo Chocolate Company, the first and only certified Fair Trade and organic chocolate factory in the United States is working to change that. They operate their factory in a 100-year-old building in the Fremont neighborhood of Seattle, WA, and offer daily tours to show visitors there is much more to one of our favorite desserts than we think. Theo distinguishes themselves as a “Bean-to-Bar” factory, which means they are actually making chocolate out of the cocoa beans rather than acting as a “chocolate melter.” In fact, the name Theo stems from the Theobroma cacao tree, literally meaning ‘cacao, food of the gods’ from which the seeds for producing a chocolate bar begin. I learned while sampling (an obvious necessity of understanding the essence), that it is important to begin with the darkest bar and then move toward the sweeter ones to ensure the sugar does not interfere with grasping the taste. At Theo they believe one can actually taste the place of the chocolate. It is vital to take your time; let the chocolate melt in your mouth and you will be able to taste the soil and climate of where the beans originated. Theo Chocolate’s decision to become a true chocolate maker was motivated by their concern for both the farmer and the environment. Most cocoa farmers earn less than a dollar per day and seventy percent of beans come from the Ivory Coast and Ghana, areas where forced labor is all too present. Fair Trade prioritizes social benefits; farmers make fair wages and a fair price is paid for the product. The shade grown, organic chocolate Theo produces forgoes pesticides and chemicals and the importance of existing ecosystems is recognized. After learning of the various machines and processes such as fermentation and tempering, visitors are lead into the confection kitchen and briefed on specifics of bars’ ingredients (organic fair trade sugar, organic milk powder and the other “goodies” in some bars like fruit sourced from local farms). For now, Theo believes it is too idealistic to hope to acquire beans Fair Trade from the Ivory Coast and Ghana but is helping improve the lives of farmers in Ecuador, Costa Rica, Dominican Republic and Madagascar by buying beans from these regions (Theo Chocolate’s sugar comes from Paraguay). Since Theo Chocolate has made the commitment toward supporting the lives of these farmers and the environments they live in, it can be assumed that their mission of being a Bean-to-Bar chocolate factory is also enriching the lives chocolate lovers across the country. 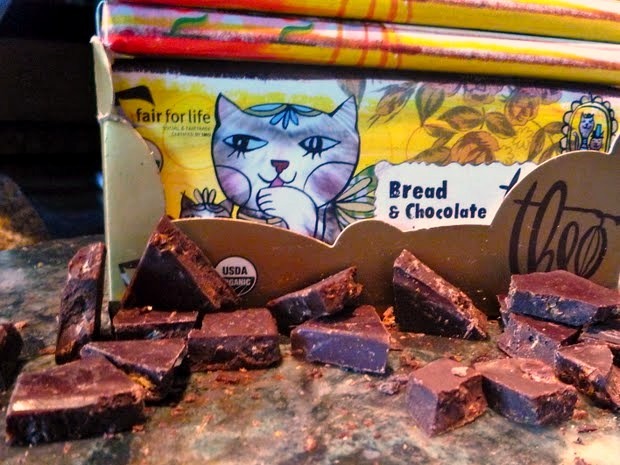 This entry was posted in Food Warrior Interns, In the Pantry (food artisans) and tagged bean to bar, chelsea burns, chocolate, cocoa beans, fair trade, food warrior interns, organic, Real Time Farms, theo chocolate. Bookmark the permalink. We definitely need more chocolate producing companies like Theo Chocolate. When it comes to chocolate, Dark Chocolate – The higher the percentage of cacao (75% or more), the better. 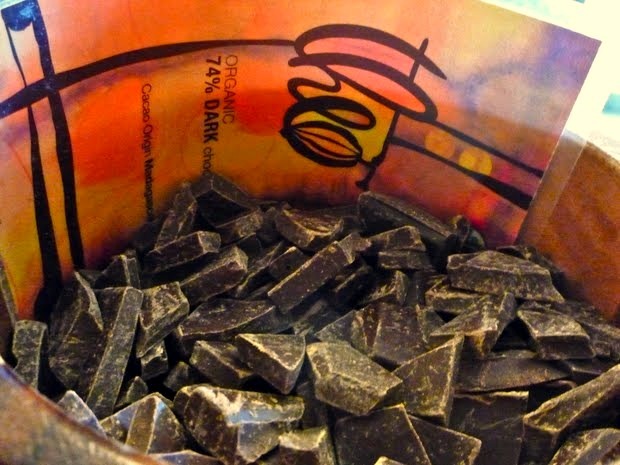 Dark chocolate delivers a chemical called serotonin to your brain that calms it (and you!) and creates a happy, even mood.